ALC Global Health Insurance - À la carte! ALC Health is looking after and protecting the health of individual members, their families and international companies from across the world. 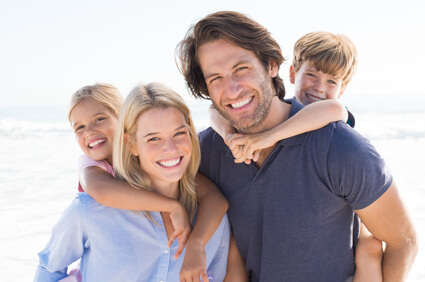 A range of flexible international health insurance plans reflect the lifestyle of modern expatriates, international travellers and global citizens. For our clients all over the world, we make getting a free quote simple. Our consultants are looking forward to your inquiry. ALC Global Health Insurance is an authorized EAA-service provider within Europe who is located in England/UK. ALC stands for à la Carte Healthcare Limited for the three pay levels Prima Classic, Prima Premier und Prima Platinum are an attractive possibility - also for people wihtout a health insurance. Customers who currently don´t have a health insurance can´t fulfill the german health insurance obligation but are protected comprehensively and worldwide against high costs in a case of illness. With FinanzSchneiderei insurance broker as an expatriat german advisor a hedge against desease costs is garantuaded, which can be composed individually for your own regrets. ALC Global Healthcare - the worlwide Health Insurance provider à la carte. Since 2016 ALC offers to german citizens who are living in Germany cheap and comprehensive tarifs over the reinsurer XL Catlin. Thanks to the consistent effort it is possible for germans to conclude a tarif at ALC Healthcare. This prooves the service of ALC Healthcare which is focused on clients. Der low-cost Tarif Prima Concept von ALC was developed to offer a privat health insurance with balanced benefits for a cheap premium. The coverage option for evacuation and return from abroad is optional insurable. The Tarif Prima Classic is a practical, international insurance tarif which assumes stationary, outpatient treatments. On top of that Prima Classic from ALC Health Insurance offers options for prenatal care, birth tastes as well as dental plan and professional teeth cleaning. Outpatient and stationary protection incl. dental plan. The Prima Premier of ALC Health Insurance is the most chosen tarif of the clients from the offer at FinanzSchneiderei. A plan with a amount of benefits and extensive medical treatments. With PRIMA Platinum you also have the option in five graduates to cover the routine-pregnancy, birth, routine and conservative dentristy, as well as evacuation and return. 1.200 EUR dentist costs p.a. 2.400 EUR dentist costs p.a. *Example: 143,94 € monthly contributionfor a 30 - year old / deductible 600 EUR p.a. - The plan offers a comprehensive cover of the costs in a case of issue. - state 12/2017 Owing to prevailling regulations in Germany can´t or just partly fulfill the criteria of the insurance obligation acc. § 193 VVG. Among others the contributions without a age provision are calculated and not suitable for the substituation of the health insurance protection as well as the care insurance protection of the social security system. ALC Healthcare is an worldwide employed insurer, however the risk of cover was protected until to 2016 through the AXA PPP Healthcare. AXA PPP Healthcare which is located in Great Britain is a subsidiary of the big french AXA S.A.-group with over 110.00 workers worldwide. With this connection it was initially possible for the ALC Healthcare to insure german people in Germany. The german branch of the AXA health insurance didn´t want to expose hisself to the direct competition with the EAA- service providers. Since 2016 the ALC Health Insurance offers now tarifs for germans too and prove thereby a customer friendly service. For claims processing and benefit settlement, please contact ALC Healthcare back to an external company - Global Response. Global Response specializes in reimbursement and offers modern possibilities to edit insurance coverage. As a customer of ALC Healthcare, you can, for example, you can simply report an upcoming treatment via the online portal and then simply submit your medical bill or treatment costs to Global Response or ALC by uploading. This saves you a lot of time as a customer and the administrative costs will fall for all involved people. By the way: In this way your original invoices can´t be lost by e-mail or post. Which legally requirements can be fulfilled by the ALC Global Health in Germany? Our conclusion: The ALC Global Health Insurance offers cheap plans with professional services. However the plans below the o.g. aspects are not fulfilling the requirements to complete the insurance obligation acc. §193 VVG. Therefore the offered plans can´t replace a german privat or statutory health insurance providers. According to the Schengen Visa Codex the contracts of the ALC are a sufficient proof of a travel health insurance for stays in Germany. The international health insurance of the ALC Global Health offers high-quality protection for favorable premiums in a case of disease. Our clear online comparison helps you to find the best deal for you of the jungle plan and to compare it to other EAA-service providers. With our insurance comparison for the international health insurance we ware a nationwide expert and give you always the interesting news. Compare different plans with our online calculator of foreign EAA-service providers - now and just in a few steps. Because of a healthy emergency while I traveled around the world I contacted the FinanzSchneiderei from Hong Kong. They immediately approached the ALC and they took care of all necessary procedures with the hospital. The health insurance is one of my reliable partners and always provides me by questions proficient and symphatic. EAA-service providers are european health insurance companies which are authorized by the EU legislation to offer their insurance to anyone else in the EU. More detailed information and differences to the privat german health insure can be found here. GET YOUR QUOTE TODAY - ALC Global Health Insurance! About our service - brilliant consultation from our experts all over the world. Get your personal quote and get informed about important news from the aLC Global Health Group services.